quite a while i have not update my blog. today is a special day for me. woke up early to attend CIMB Max InvestSave's launching at KL Hilton. Went there early to meet up client and did some PR. CIMB is one of next year priority client set on my list. went back office around 1ish and had lunch together with desmond. i had a bowl of pork noodle soup and ice tea. weather was so hot but rain a bit. after lunch, rush back office to do production for nutribeverage and samsung. sigh.. smi client is not easy, they are always demanding much, scripting changed few times.. well, no matter how, i'll have to make sure their first radio commercial is the best. i left office a lil early as to pick up mom at segambut, and we were rushed to uptown meeting bro at the perodua sales center. 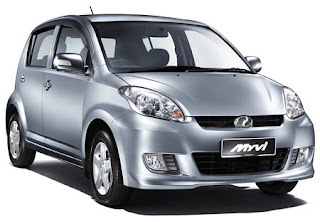 last week, mom offered to sponsor me a downpayment and 50% repayment for a new car. hahaha... of course i said yes. 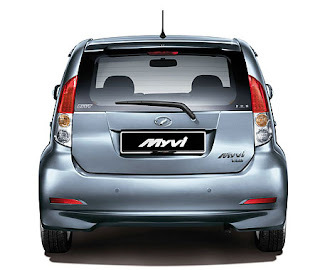 today, i booked a brand new MYVi with Medallion grey (blue-grey). I didnt get the special edition, but EZi premium. I love it... it's cool.. new facelift with better accessories and the UV screen... oh oh audio with mp3.. bluetooth.. and usb.. very spacious too. for the past few days i was 'fan' of thinking about what color to have.. i like white, but it's need of patient and lotz of attention.. which means need more money for color maintainance. i am very happy... finally i have a new car.. better remind me to get an indoor parking soon!!! !